Nebeus - an open cryptocurrency platform utilized for consumption and creation of financial services and products - has raised almost $2 million in private funding just days before commencing its token sale, the company reported today. Nebeus - an open cryptocurrency platform utilized for consumption and creation of financial services and products - has raised almost $2 million in private funding just days before commencing its token sale, the company reported today. The three-year-old fintech business, which kicked off its business by developing a cryptowallet, is currently used by 20,000 customers to get instant loans in bitcoin. The upcoming token sale is aiming to raise $30 million to scale the platform and to launch its banking business. According to experts, the goal is quite realistic: If you surf the Internet for “bitcoin loan”, Nebeus always comes up in top three result for search queries on most search engines. The closely held Nebeus is the world leader in the number of crypto loans issued per hour. Nebeus is also offering an unparalleled service, which is P2P, collateral based crypto loans. Statistically, over 70% of cryptocurrency owners could generate passive income with bitcoin loans while keeping their cryptosavings intact. For those willing to lend, the Nebeus platform will provide opportunities to get significantly higher returns than in conventional banking, while providing the security of a loan return backed by collateral in cryptocurrency. With the ICO, Nebeus is attracting funds to build a cryptobank, which will adhere to the current regulations of the conventional banking while serving the needs of the world crypto economy. The company will be one of the first platforms to provide cards linked directly to cryptocurrency accounts, which will allow fiat ATM cash withdrawals in and fiat payments in the retail environment. Running a financial services supermarket paves the way for both Nebeus being able to roll out new services fast, and for Nebeus partners and ecosystem participants to be able to launch and market new products with considerable ease. Nebeus provides instant loans in bitcoins, serves as a P2P exchange platform and features a user-friendly bitcoin wallet. The Nebeus trading system will allow users to buy and sell bitcoins with favourable exchange rates and will allow instant deposits into user accounts. The Nebeus platform was first developed in 2014 with the goal of delivering a convenient, low-cost and highly efficient service that meet the demands and challenges of the ever-evolving crypto-currency market. 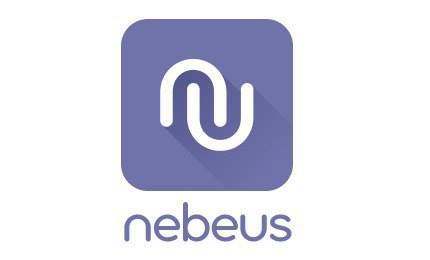 Nebeus is a Level 39 member and portfolio company.